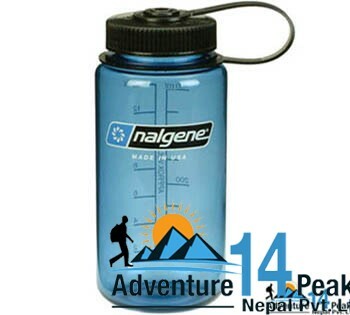 Why use Adventure 14Peaks Nepal ? All the Itinararies and trekking routes operated by Adventure 14 Peaks have been fully developed with the support of our guides. We constantly search and explore new trekking routes across the country to let our clients experience spectacular beauty and culture. Each adventure tour itinerary has been properly evaluated and verified as per the trails feasibility, attractiveness, lodge facility, security, distance coverage and walking hours in order to be able to give our clients as much a true description of about the programs. When we develop a new trekking route, we thoroughly and constantly check the itinerary through our guides’ trip reports. If we identify a problem in any of the newly developed routes, we immediately modify our itinerary in order to ensure a complete safety to our clients. We generally avoid taking our clients to those areas that have been over-exploited. Or, if we happen to operate the trips, we will do it in such a way that help to minimize the contact with the crowds of the tourists and allow our clients to experience more authentically and promote a positive cultural exchange with local people and environment of Nepal. Adventure 14 Peaks is greatly concerned with health and safety of our clients as well as team. All our outdoor staff members are well insured. Considering health and safety of our clients, we stress priority to hygienic food to high altitude sickness remedy; from preliminary medical emarjency oxizens treatment to helicopter rescue. Being one of the Adventure 14 Peaks team is well equipped and fully trained in health and safety aspects.